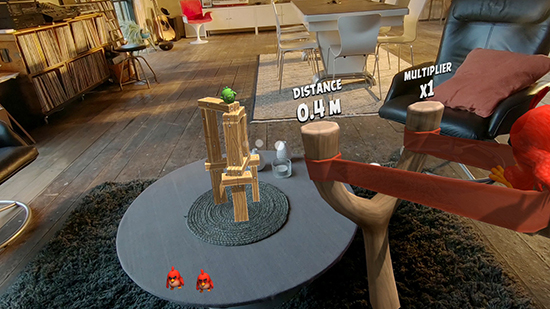 New mixed reality game is available for free today and delivers the most immersive Angry Birds experience yet with precision controls and incredible spatial gameplay. 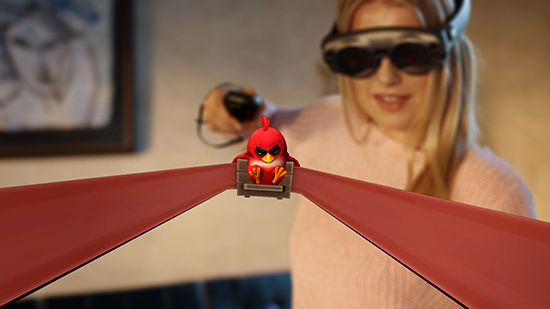 Angry Birds FPS: First Person Slingshot, the new mixed reality (MR) game released for Magic Leap One Creator Edition at the L.E.A.P Conference by Rovio Entertainment (ROVIO) and Resolution Games. 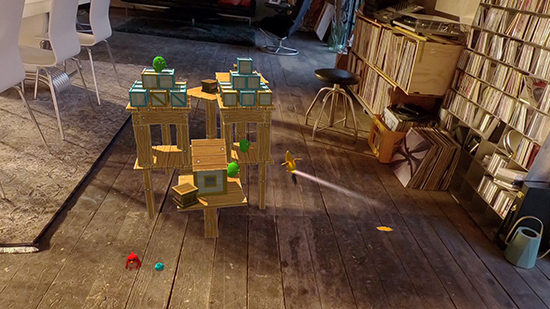 Angry Birds FPS is the first gaming experience developed entirely by an independent developer for Magic Leap’s spatial computing platform. 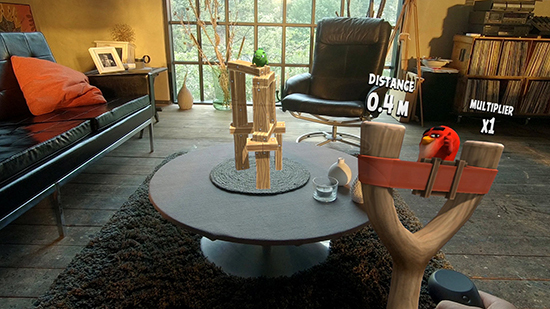 A first-person slingshot lets players see incredibly realistic animated characters and objects overlaid onto their actual environment, bringing Angry Birds to life like never before – right in users’ homes. 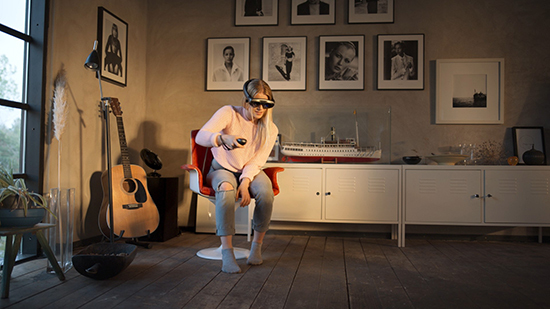 Magic Leap One Creator Edition is a lightweight, wearable computer that enriches your experience in the real world with digital content. For the very first time, Angry Birds fans can explore and navigate their environments to select which object to hit and angle their shot precisely for maximum impact. Players can then assess the damage by simply walking up to and around the structure. As players take aim, either directly or by bouncing off actual objects in the room, they can try to inflict maximum damage to the Green Pigs with the least hits or from farthest away to earn more points and stars in each level. 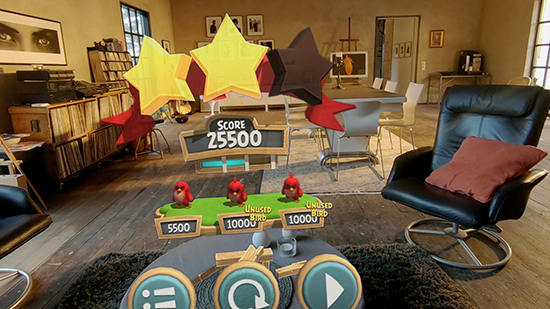 “We are thrilled to bring the iconic Angry Birds franchise to Magic Leap’s spatial computing platform,” said Rio Caraeff, Chief Content Officer at Magic Leap. 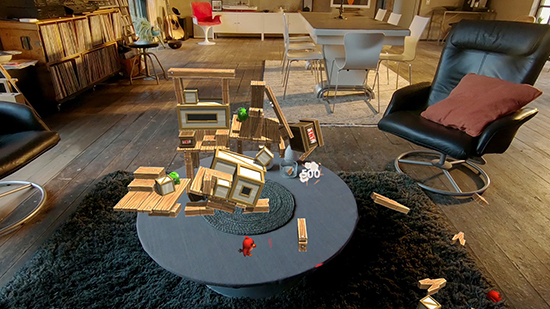 “Having recently launched Magic Leap One Creator Edition, we’re at an exciting moment in time when we get to see and experience what developers create for the platform. 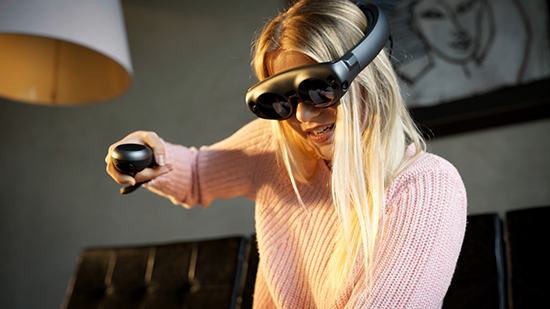 Working with Resolution Games, Rovio Entertainment has made a version of their iconic classic for Magic Leap One that showcases the potential of immersive, content-driven experiences and is also loads of fun." Resolution Games is a games studio focused on visual computing. 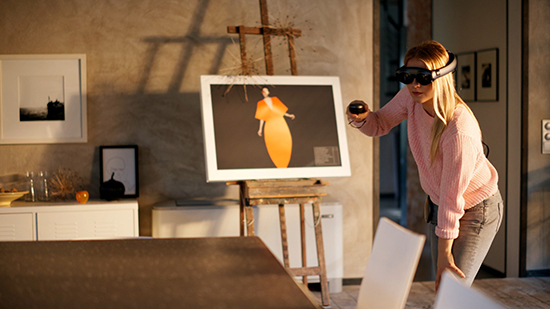 In their first three years, they have produced one of the most popular virtual reality (VR) titles of all time (Bait! ), and their games are among the highest-rated on their respective platforms. Rovio Entertainment is best known for its global Angry Birds brand, born from the world-famous Angry Birds Classic game. Today, Rovio has a wide portfolio of Angry Birds games which, although primarily designed and marketed for adult players, are always appropriate for all audiences. Collectively to date, Rovio’s Angry Birds games have garnered a staggering four billion game downloads since 2009 alongside one of the strongest mobile game brand licensing programs in the world, making Angry Birds one of the most successful mobile gaming IPs in history. Angry Birds FPS: First Person Slingshot is available for free on Magic Leap One Creator Edition through www.magicleap.com.